Want to capture excellent photos? Then you need to understand three things — the aperture, the shutter speed, and the ISO. The aperture controls light that passes through your camera lens. If you shoot with the aperture adjusted to the smallest opening, the smallest amount of light is allowed to enter. Let’s say, you need to take a picture in an environment that’s too bright — how do you fix that? Simple — just choose a smaller aperture. 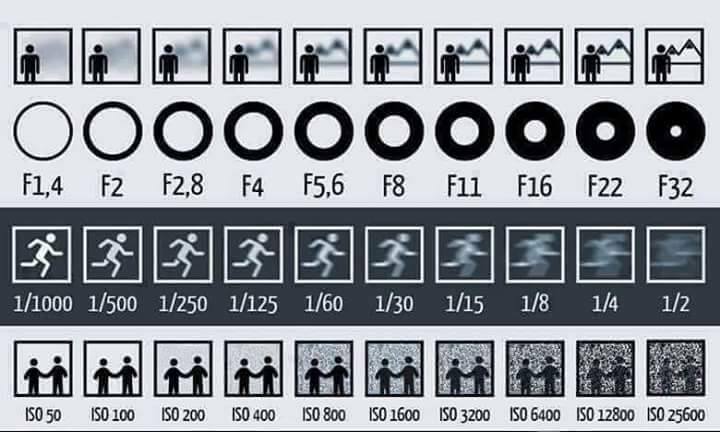 The aperture’s sizes are measured by f-stops. A higher f-stop means a smaller aperture hole while a lower f-stop means a bigger aperture opening. Now, the shutter speed. It’s the duration of time a camera shutter is open to allow light into the camera sensor. Shutter speeds are usually measured in fractions of a second. Fast shutter speeds allow less light into the camera sensor and are used for high-light and daytime photography while slow shutter speeds allow more light into the camera sensor. Obviously, slow shutter speeds are ideal for nighttime photography. Finally, the ISO. ISO is all about the sensitivity level of your camera to available light. Usually, it’s measured by numbers. A lower number represents lower sensitivity to light while higher numbers mean heightened sensitivity. The drawback in using increased sensitivity is that it produces noisier images. Simply put, you end up with grainy pictures if you use high ISO. How do you take properly exposed photos, then? Those that are not too dark or too bright. The three – Shutter Speed, Aperture, and ISO – need to play together well. Let’s say it’s high noon. Of course, you have plenty of sunlight. If your camera aperture is very small you block most of the light. It means the camera sensor needs a longer time to gather light. Now, for the sensor to collect enough light, the shutter has to stay open longer. In other words, you need a slower shutter speed. Look at the diagram featured here. From the top, the first level represents aperture sizes, the second level represents shutter speeds, and the third level represents levels of ISO.